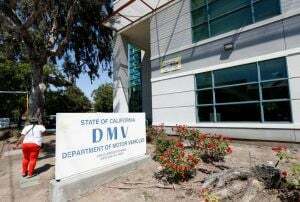 The California Department of Motor Vehicles has been a source of frustration for employees and customers for as long as anyone can remember. I started pushing for major reforms of this department in 2016 when my office was flooded with calls from truck driving students who were waiting 12 weeks to take the commercial driver’s license test. Many of them, low income and minority students, lost job offers due to this outrageous delay. Last year was atomic for the DMV. The federal Real ID deadline and computer system failures created unbearable wait times for customers and forced six-day work weeks for many DMV employees. The mounting fury Californians, and my subsequent audit request, came as a surprise to the then-DMV director Jean Shiomoto. It was clear that this crisis demanded immediate action at the top levels. We may finally have that action in Gov. Gavin Newsom’s DMV Reinvention Strike Team. In Sacramento, talk is cheap. Politicians say a lot of things to get elected. It’s what they do after they win that shows what their priorities are. This is one of those issues that must be a priority for Republicans and Democrats in California – and if Gov. Newsom is serious about overhauling the DMV, I’ll be the first to applaud his efforts. With all the high-tech expertise of Silicon Valley, we should have a world-class DMV with Amazon-like speed and efficiency. If Amazon can manage same-day delivery for online shopping on an easy-to-use platform, this has to be possible for the DMV. The 1980s green screen technology used today must be replaced with 21st century tools. Drivers are demanding it. The American Automobile Association and many check cashing stores partner with the DMV to offer options for drivers in need of registration renewal. They offer several other services, but they can do more. We should work to grow the number of locations where services are available. I will introduce legislation to move the DMV in this direction. Customer service must be paramount. I’ve heard stories of front-line DMV employees who have gone the extra mile to help a customer in need. I’ve also heard the opposite. DMV employees are hardworking, proud Californians but they are at their wits end. Who can blame them? Decades of management failures have left them with little hope for change. As the DMV is revamped, management needs a refreshed view of customer service – where people are treated as paying customers – not annoyances. An overhauled 21st Century DMV will benefit all Californians. The DMV Reinvention Strike Team must go boldly forward. The hopes of millions of drivers are with you. Assemblyman Jim Patterson represents the 23rd Assembly District in the Fresno area. He wrote this commentary for CALmatters, a public interest journalism venture committed to explaining how California’s Capitol works and why it matters. We did learn lessons the hard way in 2000. I hope the mistakes don’t get repeated by policy makers confronting the new crisis.